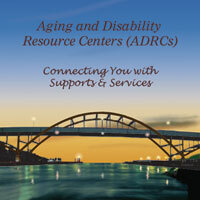 Welcome to the Aging & Disability Resource Center (ADRC) of Chippewa County website! This website is designed to help you find the information you need to access community resources and services for older people, adults with disabilities and their families and caregivers, regardless of income. If you cannot find the information you are looking for or have additional questions, please contact us at 715-726-7777 or ADRC@co.chippewa.wi.us. Personal assistance is available at the resource center, over the telephone, or in visits to your home. Just walk in: Someone is available to show you around and tell you about our programs and other community resources.